When posed with the question "what makes a cool car? ", it's impossible for us to answer. A seemingly endless number of combinations between makes, models, engines, and parts can craft a list of cars we could only build in our dreams. It's expected that the cars that come immediately to mind are those we're most familiar with; perhaps an extravagant Ferrari, or something more attainable, such as a Toyota Supra, or an Audi S4. 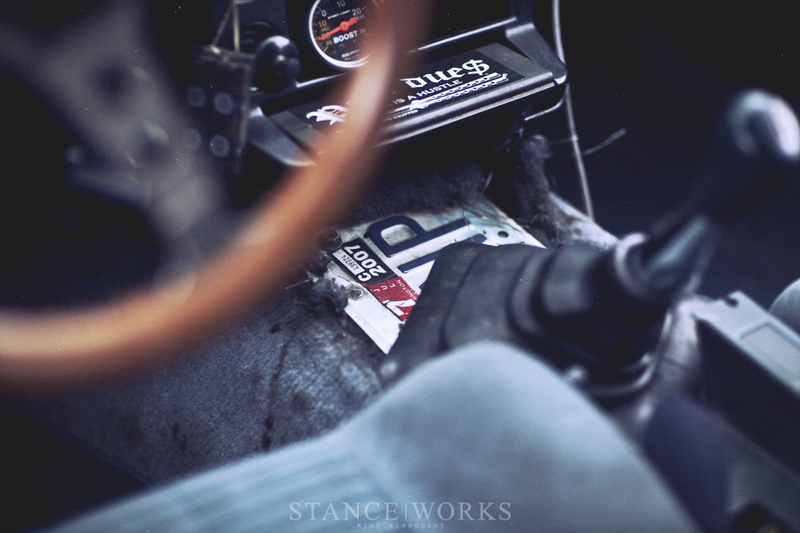 The cars we've grown up liking shape our interest, and the cars we're commonly exposed to set our path as enthusiasts. 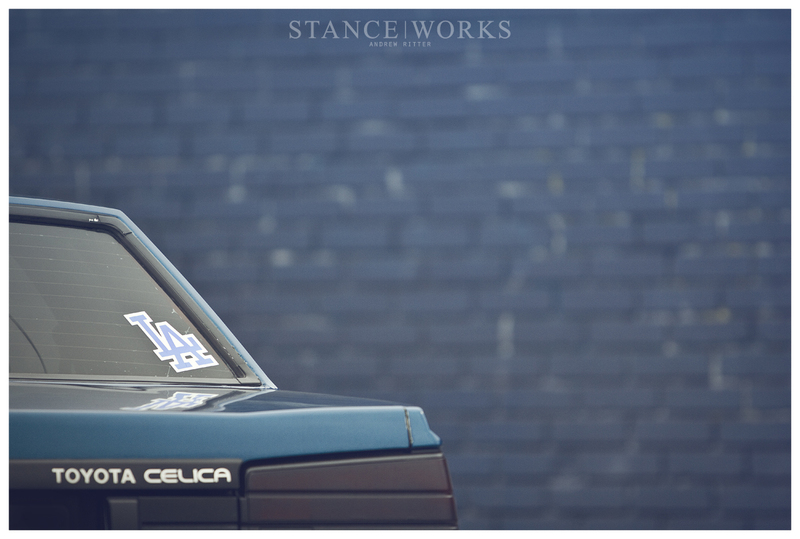 However, Jesse Ortiz helps STANCE|WORKS define what makes a cool car in an entirely different way, by taking the path less travelled. 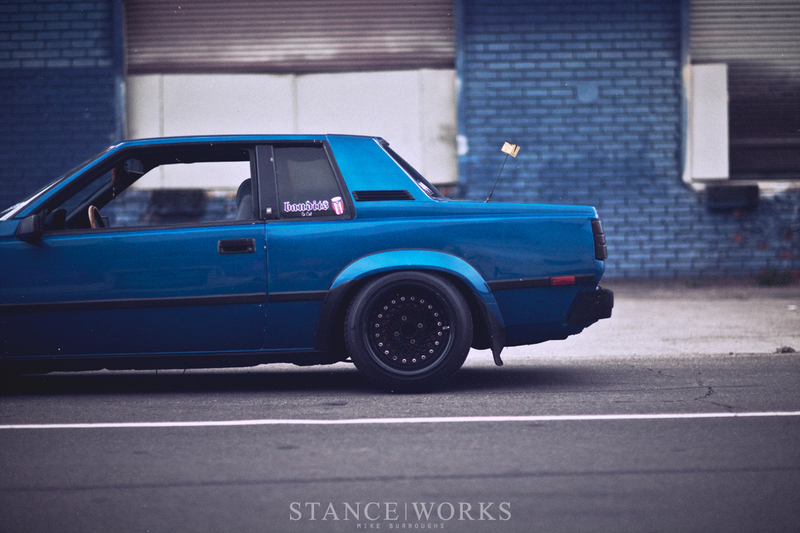 Jesse's A60 Celica Coupe is an uncommon car to say the least. The hatchback version, while still uncommon in all respects, vastly out-popularizes its trunk-bearing counterpart. It's an automobile that most would never take a second look at, yet Jesse saw the potential of the uniquely styled car. 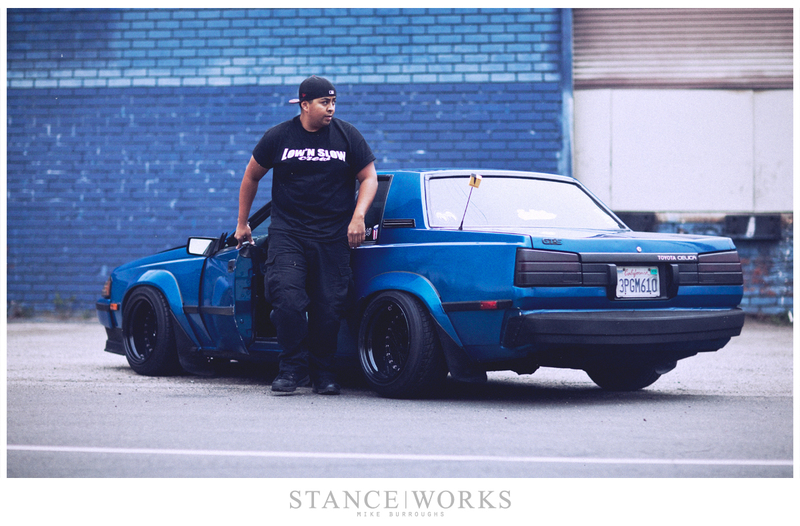 The quintessentially-eighties pop-up headlights, wide GT-S flares, and the interesting kinks and divots that form the body lines sparked an interest in Jesse that has paid off in ways he likely didn't expect. There are different types of car guys out there. Some prefer the cars with household names; 350Zs, RX7s, and M3s come to mind. They enjoy the cars that are established and known, supported by the aftermarket that feeds and drives the community. On the other side of the card, however, are the car nuts that some consider the odd-balls. 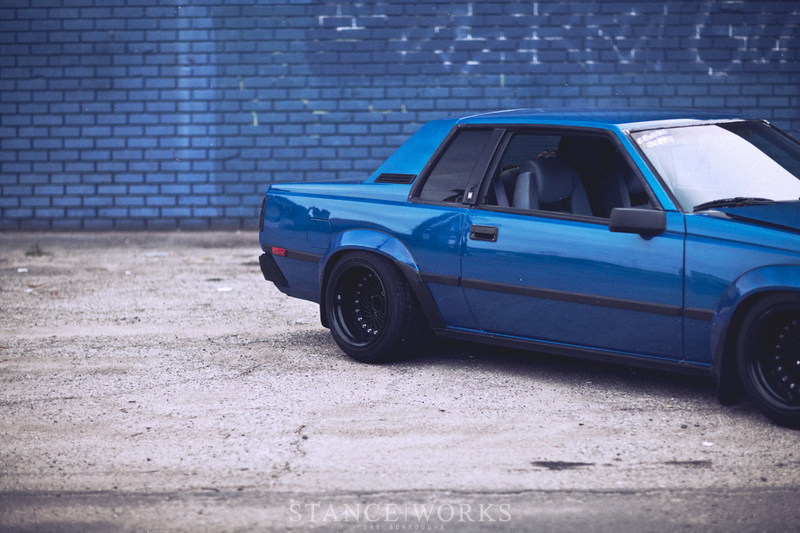 The guys who own Alfas, the guys who horde Volvos, and the ones who can't help but love Ladas and Yugos. 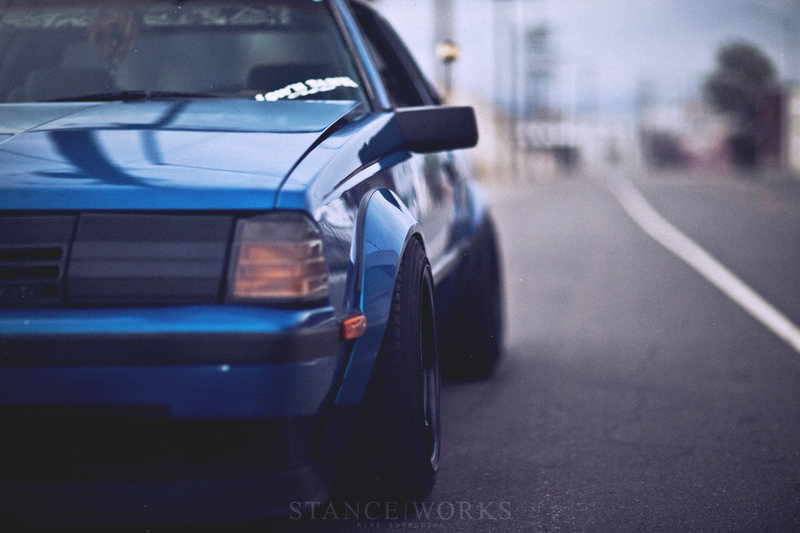 Together, the two groups create the automotive scene as a whole. They drive the community forward in a unique system of checks and balances that keeps us from seeing repeat after repeat car. The second group, however... the guys who choose the cars that are forgotten by the automotive aftermarket... They're the ones that help redefine what "cool" really is. 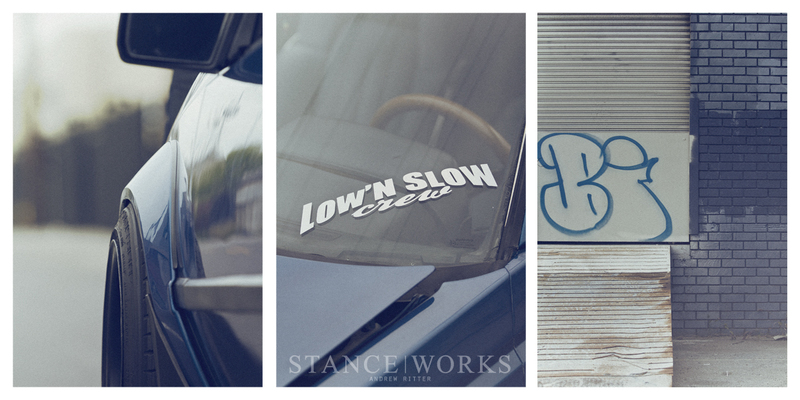 At STANCE|WORKS, we're able to share anything that tickles our fancy. More often than not, the cars that make an impact in the pubic eye are the cars that stand above the rest of their kind, built by the owners who went the extra mile to take "one of many" and make it their own, and that in and of itself is always a story worth sharing. Yet sometimes, the guys like Jesse step away from the crowd to show that it doesn't take sponsors, name brands, or frankly, a car anyone knows about, to make an impact. 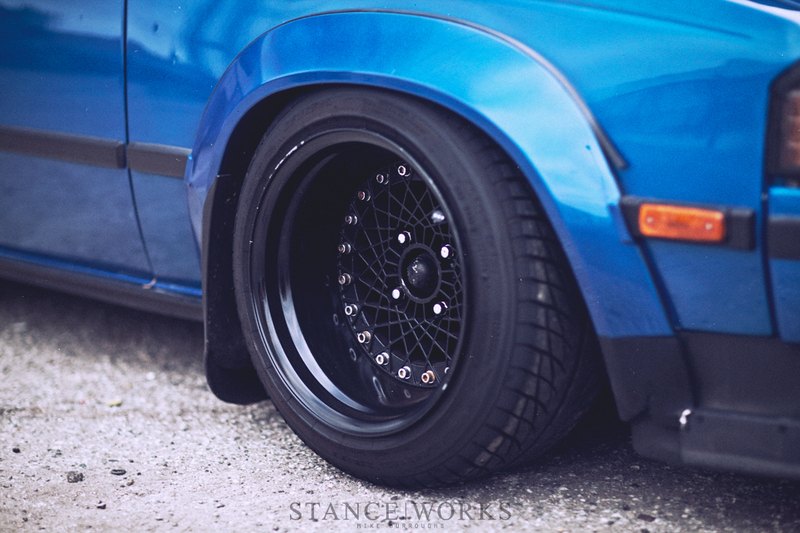 Jesse's Celica squats, hugging a set of 15-inch Epsilon Southern Way mesh wheels. Their deep, all-black appearance blurs the definition between aluminum and rubber, only made apparent when the stretched tires pull themselves away from the rim. The small diameter wheels project from the arches with a perfectly executed vintage style. The mud flaps skip and drag across the asphalt and the guts of the car sit lower than the frame rails. The car's presence provides an almost nostalgic "I've been here before" sensation, its imperfections and and do-it-yourself revisions to the almost 3-decade old car speak to a modern era of hot rodding and homebuilt enthusiasm. But, while the uniqueness of Jesse's car is enough to keep me excited for reasons I can only hope reach those who read this, there's more to the car than it's double-take worthy style: A single-turbo 1JZ-GTE rests under the hood, cranking out 300whp to savagely introduce fender-to-tire each time the go-pedal is pressed. The whirling and whizzing of the turbo from the down-pipe lets every passerby know that the A60 chassis has not been forgotten. 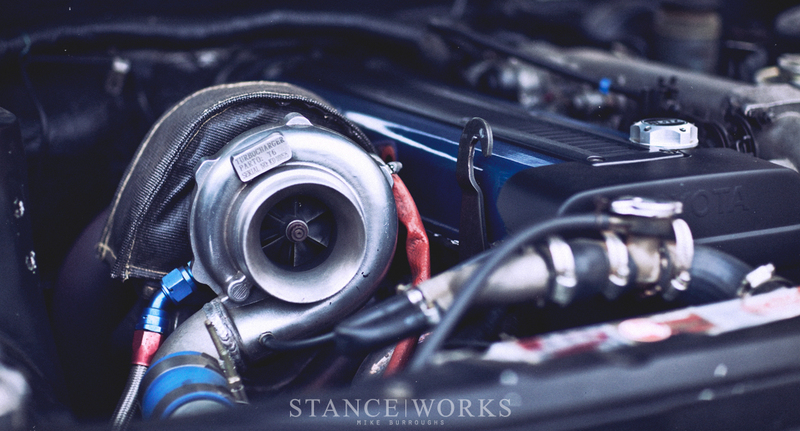 Somewhere on the corner of the web, there's undoubtedly a community of Celica owners who will have gotten this far, and I know they're thinking "you're a fool, this car hasn't been forgotten, we're right here", and to that, StanceWorks thanks you. Out there somewhere, there's a group of diehard enthusiasts loving a car the rest of the car world would otherwise never know about. While there's no question that Jesse's car is likely not the most clean, best built, or most powerful A60 out there, he's made his way in front of our lenses, and we find the utmost joy in taking the opportunity to share something we find entirely unique and inexplicably cool to all of our readers. Because if it weren't for guys like Jesse taking a step out of our norm, frankly, we'd be bored. I own a Toyota Corolla 1997 sedan a really rare car apparently since I can’t find anything about it. It also has the toyota embleem on which makes her so special. 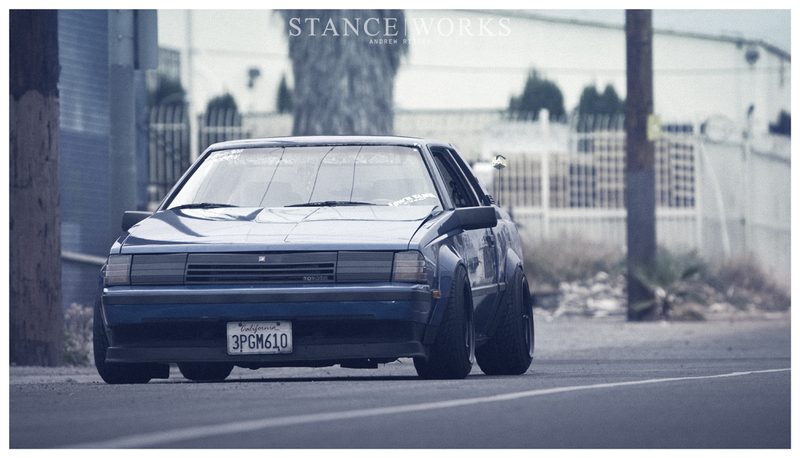 I’m thinking of making her look a bit like this but then matte back with bronze rims or something. Hell yeah, next week im buying one of these… for very cheap price! :D soon will have to start work with it!!! :) how can i contact this cars author?